As a clinician-scientist in the Department of Medicine, Division of Neurology, U of T, Dr. Swartz’ research aims to improve the long-term outcomes and quality of life of the patients he sees daily. Rick Swartz is the Director of the Stroke Research Unit at Sunnybrook Health Sciences Centre and of the University of Toronto Stroke Program and is PI or co-I on numerous peer reviewed national and local grants. He has led the Vascular team of the Ontario Neurodegenerative Disease Research Initiative (ONDRI). His early research explored the combined impact of cerebrovascular disease and dementia, using structural brain imaging, demonstrating some specificity to subcortical vascular disease that was previously considered non-specific, most centrally affecting the thalamus and cholinergic white matter pathways, reinforcing the need to simultaneously examine cerebrovascular pathology and neurodegenerative markers, a theme which current large-scale studies such as ADNI2 and the ONDRI study are further developing. More recently he has focused on long-term outcomes after stroke and on developing pragmatic interventions to improve these outcomes. 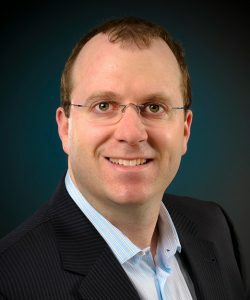 In his “DOC” studies (screening for Depression, Obstructive sleep apnea, and Cognitive impairment), funded by HSF and CIHR, Dr. Swartz designed a novel evidence based screening battery, showing that screening for these common post-stroke comorbidities can be performed in less than 6 minutes in almost all stroke prevention clinic patients and that the resulting data can help to rapidly categorize people into low- intermediate- and high-risk groups to facilitate both clinical care and research protocols. Through this work, and several team grants, Dr. Swartz is exploring the foundations of vascular cognitive impairment, seeking methods to limit its impact and improve functional abilities after stroke.